If you invest in your limited company, there are two ways that you can make money out of it. It can increase in value, meaning you’re able to make a profit out of it by selling it off later. Or as an owner of the limited company, you can add to your total income in the form of a ‘dividend’. Previously, taking dividends from the company was the most cost-efficient way to add to your income without paying tax on it. Dividends are a brilliant way of generating a regular income by investing in the shares of your company. But, as is the case with any sort of income that you earn, you will be liable to pay a certain amount of tax. The rate of tax on dividends varies to the income tax rates you pay on savings interest, your pension or your salary. However, you get a tax-free dividend income allowance, which permits you to earn thousands of pounds by means of a dividend before you pay tax. You are exempt from paying tax if the dividend you earn is below £5,000. This is known as the ‘tax-free dividend allowance’. This is applicable to the tax year 2016-17 which runs between 6th April 2016 and 5th April 2017 and that of 2017-18 which runs between 6th April 2017 and 5th April 2018. Above this dividend allowance, you pay tax based on the rate you pay on other income which is known as your ‘tax band’ or your ‘marginal tax rate’. As per the announcement of the 2017 Spring Budget, the dividend allowance is being reduced. 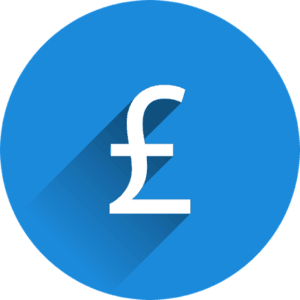 Starting 6th April 2018, the first £2,000 you receive in the form of dividends from various investments will be tax-free down from the existing £5,000 threshold. This basically implies that more and more people will end up paying tax on the dividends that they earn. An increase of £225 will be reflected in the tax bill of a basic-rate taxpayer. An increase of £975 will be reflected in the tax bill of a higher-rate taxpayer. An increase of £1,143 will be reflected in the tax bill of an additional-rate taxpayer. If, you make up to £5,000 in dividends, you don’t have to do anything as up until this amount, your dividends are tax free. You need not inform HMRC and enjoy your income from dividend as you deem fit. Get HMRC to make adjustments in your tax code so that the tax is taken from your salary or pension. You can fill out a self-assessment tax return. If you make more than £10,000 by way of dividends, you will be required to complete a tax return. You can opt for the expertise of accountants to simplify the process for you. At Northants Accounting, we can fill you in on the rules regarding tax payments so that you aren’t caught out by HMRC. To find out more, get in touch with us today!